Kate is a history and psychology teacher at Waterford High School. She has coached girls volleyball and indoor track & field at Waterford, and is the girls varsity softball coach at Fitch High School where she also played. 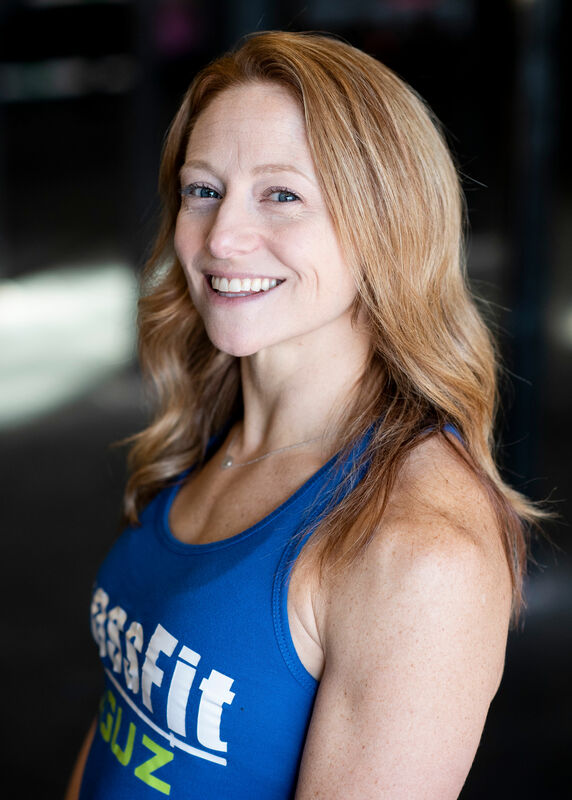 She has an interest in promoting mobility and increased quality of movement in high school athletes and students, and is the champion of our High School Strength & Conditioning program. Kate was introduced to CrossFit by her husband Andrew Prpich. She was brought into CrossFit similar to how Andrew gets her to do most things…by dragging her kicking and screaming. And, although she won’t admit it because that would make Andrew right, she’s better off because of it. She has started implementing CrossFit into her preseason training program for softball as well as indoor track and field. She has seen, not only the physical benefits of implementing this type of training with her athletes, but also the benefit of promoting work ethic and team comradery.